Talking about audacity, I venture to hazard a prediction. In about ten years time from now, Barack Obama’s Audacity Of Hope will become a super hit. Ramana, do you think it is the best of his five so far? So where does the champagne come from? Did her husband’s death somehow inspire her to produce it? Nick, her husband’s family had a small wine business that was not doing well. After the death of her husband, the father in law wanted to close it but Barbe-Nicole convinced him not to and invest some money so she could build it up. It took several investments before it really got off the ground, but the wise woman kept battling on! It is my kinda book! Oh, this sounds like a great story. I must get the book. One can never read too many books! Brighid, I get good value from books…. they last me a very long time. I must be the slowest reader in the world. I had a friend who was married to a paint broker. He used to sell paint by the ton to,for instance, the City of New York to paint the Brooklyn Bridge. He was also an alcoholic and spend most days wining and dining buyers so they would order the paint they needed from him. One day he had a heart attack and died. My friend answered the telephone the day after the funeral and it was a buyer asking how soon her husband could deliver a huge order. He had not heard of her husband’s death and apologized when she told him that he was gone and that there was no paint business any more. After she had hung up she thought to herself , “Wait a minute, if he could make such a good living selling paint while he was drunk, I should be able to do it sober.” She called the buyer back and told him she was mistaken about there being no more paint business and asked how much he needed. He gave her that order and she never looked back. She increased the business considerably and sold paint for 30 years and left a fortune when she died. Nancy, it just goes to prove that once a woman, or indeed anybody, puts their mind to something… wonders can happen! Barbe-Nicole had perseverance and was willing to do the hard work. Maxi, perseverance and determination are two great attributes to have in our arsenal. have you read the book, WWW? This is wonderful background on a story I surely hadn’t heard before. Apparently she was quite a woman! I like it for special occasions! I have learned something new! What an extraordinary woman to write such words. 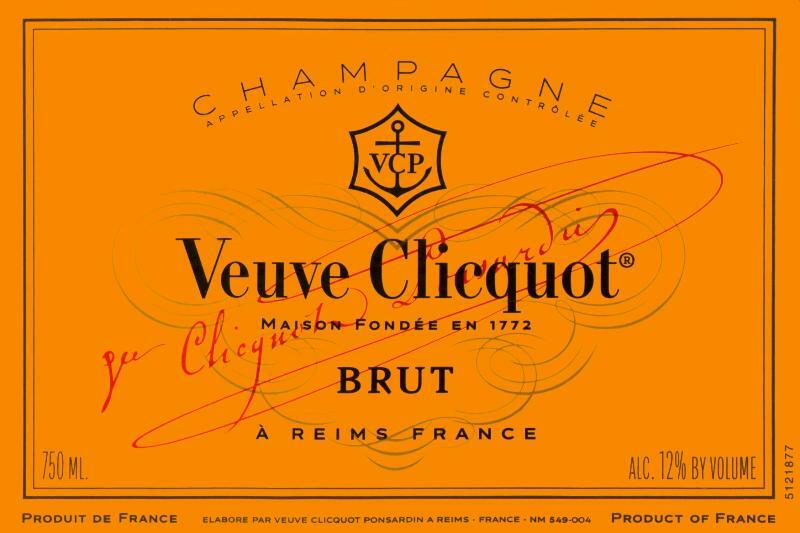 And create champagne …..
Kate, next time you crack open a bottle of bubbly, you will see it with new eyes!